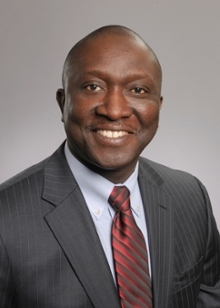 Adedapo Odetoyinbo, MD, hospitalist at Emory Johns Creek Hospital (EJCH) and assistant professor of medicine at Emory University School of Medicine has been tapped as the hospital’s new medical director of care coordination. Odetoyinbo previously worked as EJCH’s chief medical officer and has served patients in Johns Creek since 2008. In this new role, Odetoyinbo will act as a physician advisor and perform medical case review using current regulations, adopted guidelines and criteria in order to assure optimal efficiency in the management of patient care. Odetoyinbo graduated from the University of Lagos College of Medicine in Nigeria. He completed his internal medicine residency at Lincoln Medical & Mental Health Center. Odetoyinbo joined the Emory’s hospital medicine department in Feb. 2006. He has been active on EJCH’s Utilization Review and Chest Pain Center committees. He has also played a key role in the hospital’s patient satisfaction initiatives. "Dr. Odetoyinbo brings decades of experience in hospital medicine, primary care and public health to our hospital," says Marilyn Margolis, CEO of Emory Johns Creek Hospital. "I’m confident he will provide an exceptional level of leadership and operational direction to care coordination, clinical documentation improvement initiatives, health information management and develop effective strategic plans for the hospital’s quality improvement program."